Sell My House Fast in Lubbock, Texas! Are You Interested In Receiving A No-Obligation Offer on Your Lubbock House? We will never hassle or bother you with high-pressure sales. At High Plains Home Buyers, our goal is to let you know you have an alternative to listing your house. We pay fair prices and can close fast. If your property or situation requires you to sell quickly, we would love to help! Find out more about what we can do for you! Selling your Lubbock house can be easy and stress-free. We make the process simple, so you can focus on other things! You don’t have anything to lose! The choice to sell is completely up to you. If you choose to sell to us, we will work with you through the entire process, even closing on the day you choose. We have helped many happy, local homeowners and we would love the opportunity to help you too! Our process is straightforward and to the point. We have the funds available to pay you right away. You won’t have to wait around for the bank and their red tape. You will not have to worry about the sale falling through due to a change in financing, once make you an offer, you can consider your house sold! Why do you need to sell? Are you a landlord of a house that needs constant repairs? Are you tired of fixing it just to have your renters need something else from you? Not every property makes a good rental. It can be a lot of work acting as a property manager, collections agent, maintenance man and landscaper on a property you aren’t even living in! Are you going through a divorce? Dragging the selling process on and on isn’t good for anyone. By getting a direct offer for your house, you will be able to sell right away, easily liquidating and dividing your assets. Have you fallen behind on your mortgage? It happens to people all of the time. A new addition, job loss, high taxes or a sudden loss can make you miss a payment or two. These things happen! By selling now, you can avoid the foreclosure process and put cash in your pocket! Our goal is simple. We want to help residents of Lubbock and the surrounding areas. We are ready to help you by purchasing your Lubbock house, as-is and for a great price! Please fill out this short form to get started! We are ready to make you an excellent all-cash offer on your Texas house! Our process is fast, transparent and always fair! You will never have to worry about any hassle, obligation or pressure to sell. Learn more about your available options before signing a listing agreement! 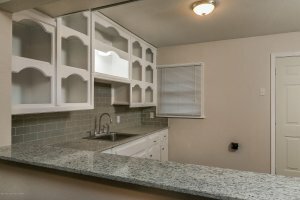 You have choices when you decide to sell your Lubbock house! Call us today to learn more! Why Won’t My House Sell In Lubbock? I Inherited a House, What To Do? – Should I rent or sell in Lubbock? Help, I’m behind in my mortgage payments in Lubbock!